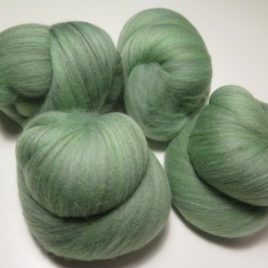 This 4.2-oz quartet of batts is chocolate brown merino carded with unbleached tussah silk dyed in greens and greys, plus silk noil in a bright yellow-green and a medium bluish green. 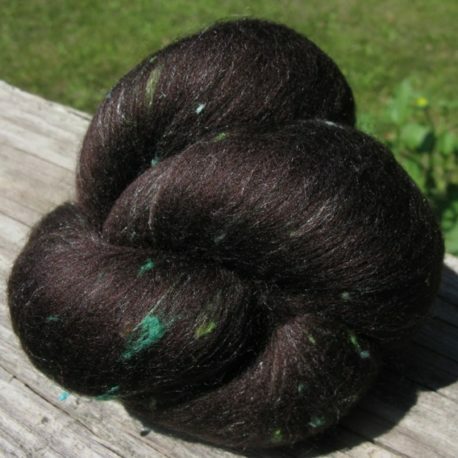 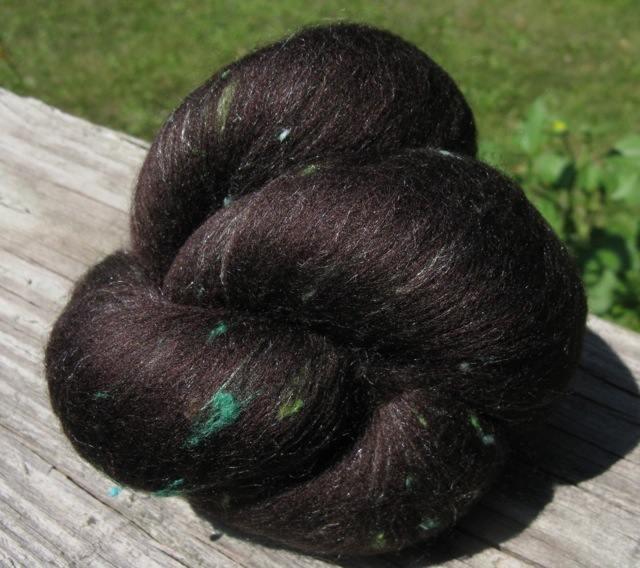 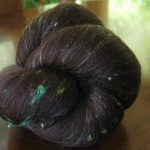 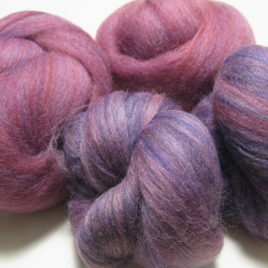 This blend should yield a lightly textured yarn with a bit of color variation. 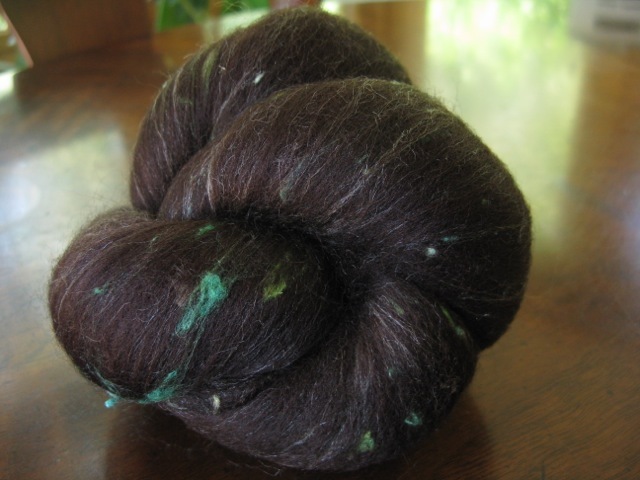 The color combination was inspired by the first green shoots coming up in a garden with rich soil. 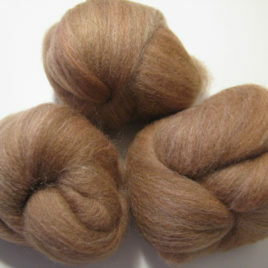 The photographs for this listing are from a previous batch of this colorway, but this set of batts was carded from the same ingredients and looks very similar.